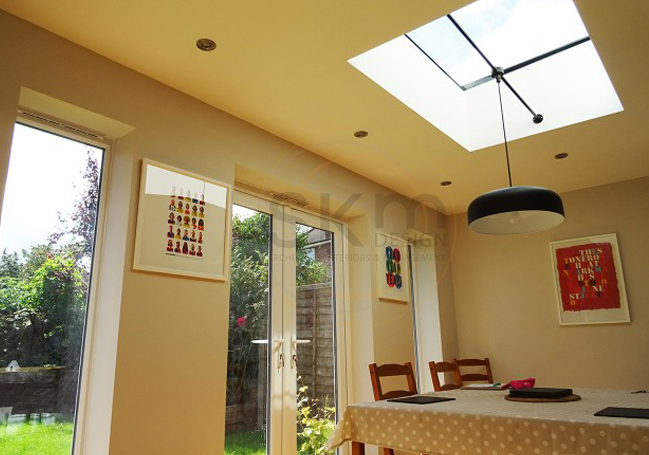 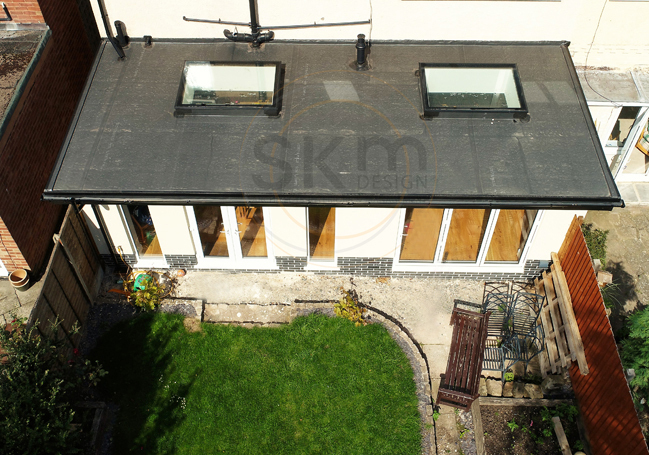 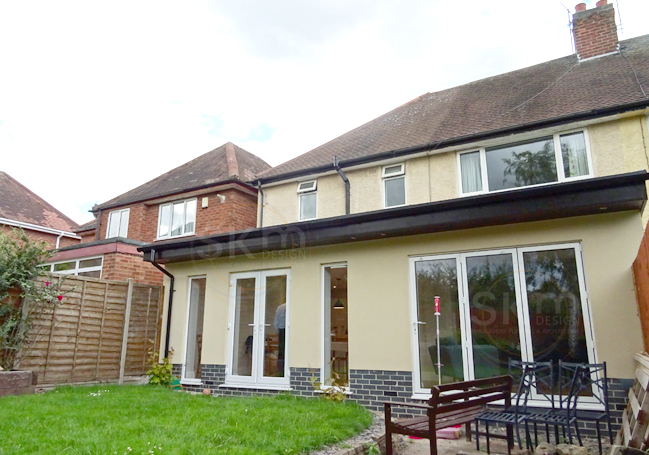 Rear extension and interior remodelling for a young family. 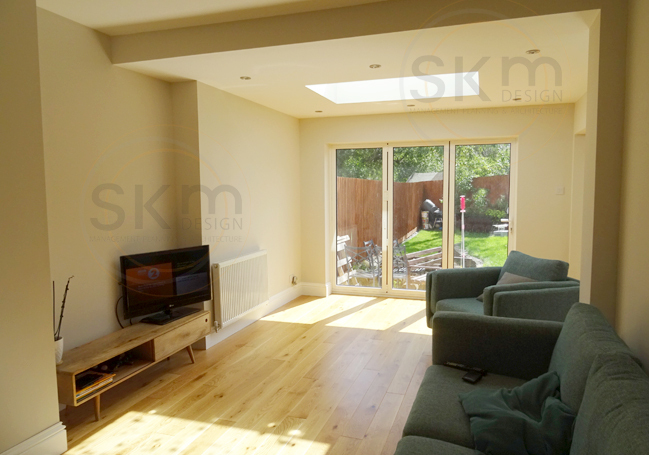 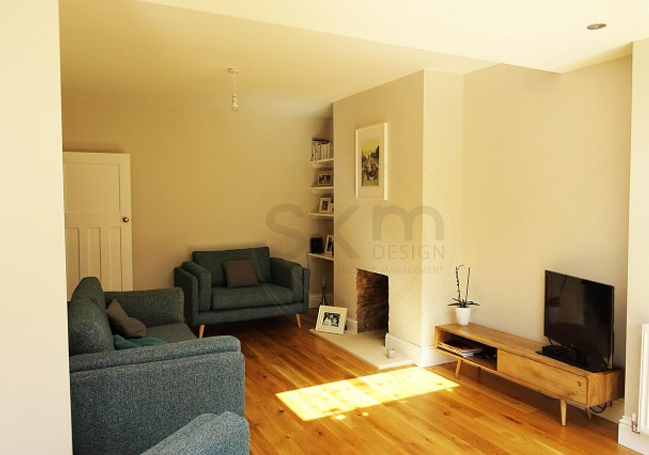 The existing front room and lounge were separated with a new wall, and an open plan space was created from the kitchen, lounge and new extension. 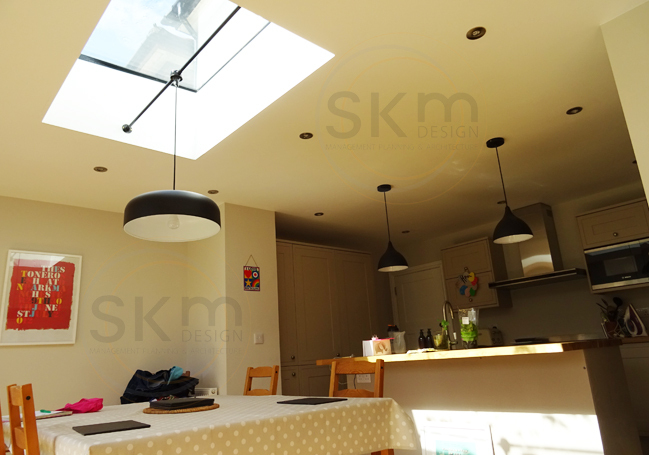 This resulted in a better relationship between the kitchen and dining spaces whilst maintaining privacy for the front room.